All chocolate is not created equal. I’ve tried loads of chocolate in my 39 years and discovered that some kinds are better than others. When you are a chocolate lover like me, nothing beats that feeling of indulging in one of the best tastes on earth, in my opinion. Most recently, I’ve discovered the absolute best chocolate drink EVER. 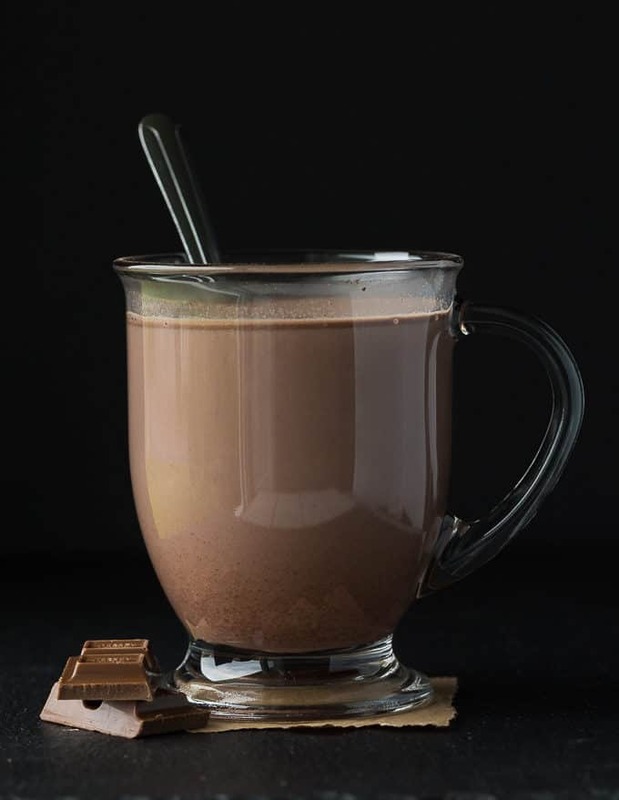 Meet Caotina, a chocolate drink mix made from premium quality Swiss chocolate. Friends, it’s pure chocolate heaven! The Swiss know their chocolate! Caotina was invented back in 1963 in the mountains of Switzerland. 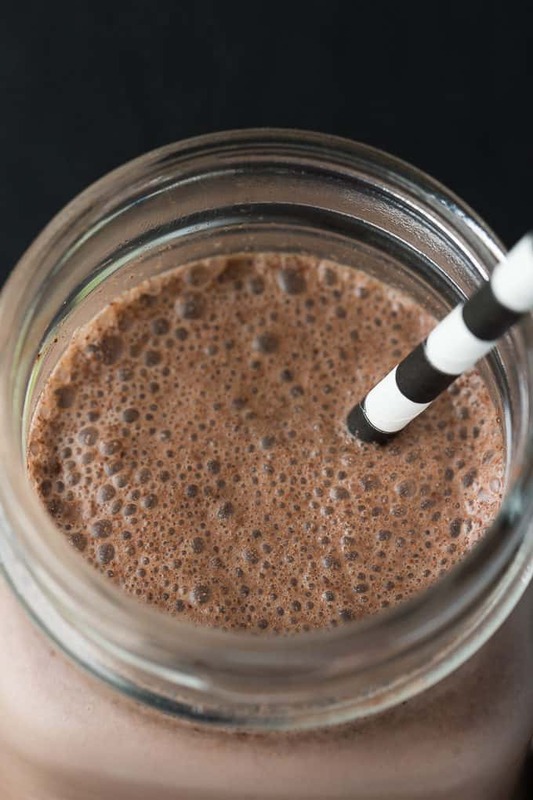 It’s made with real Swiss chocolate and UTZ-certified reduced-fat cocoa powder and comes in a powdered format. I tried the Caotina Original Chocolate Drink Mix that comes in individual serving packs. It’s super handy to throw a few packs in your purse to bring with you to work for a quick energy boost. It’s also great for my kids to bring with them in their school lunches. All you need is some milk and Caotina. Hot or cold? You decide. Caotina can be used in both. In the warmer months, I’m all about staying cool so I’m drinking mine cold most of the time. 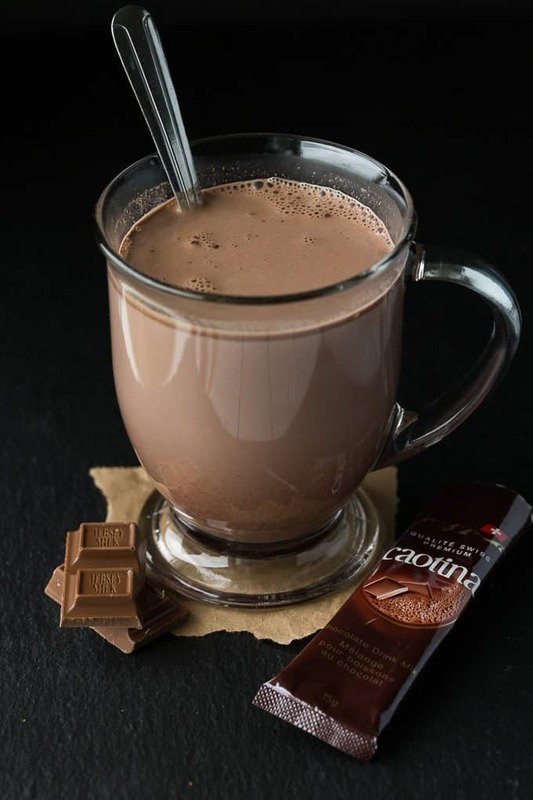 Add an individual package of Caotina to a glass of milk and give it a stir to quickly dissolve the chocolate powder. Then, sit back and relax and ENJOY! I work from home so I’ve been enjoying my Caotina while I sit at the computer and work. Each sip is rich, silky and luxurious. 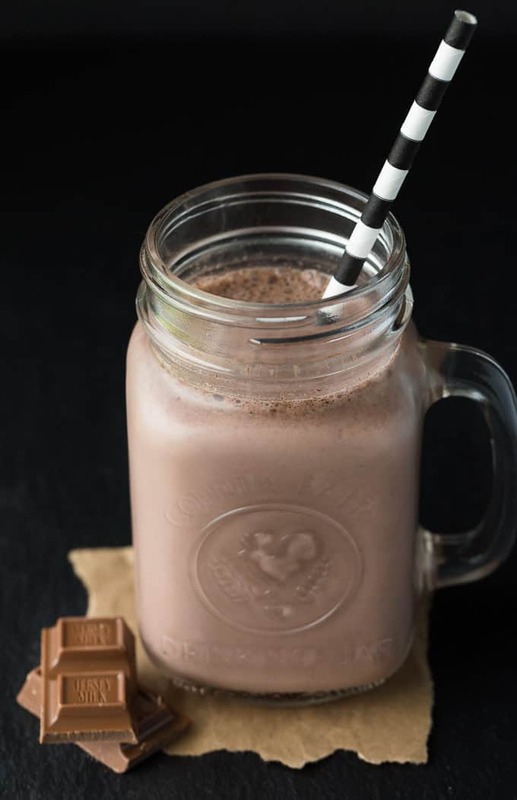 It’s the best chocolate milk I’ve ever tried. I was cleaning my youngest daughter’s room and discovered that she had a box of Caotina hidden in her closet. I guess she wanted to keep it all to herself! She adores their chocolate milk. However, she has to share with the rest of the family. Good thing that Caotina is available at select grocery stores so I can purchase more. Even though it’s almost summer, I wanted to try out the hot chocolate version. 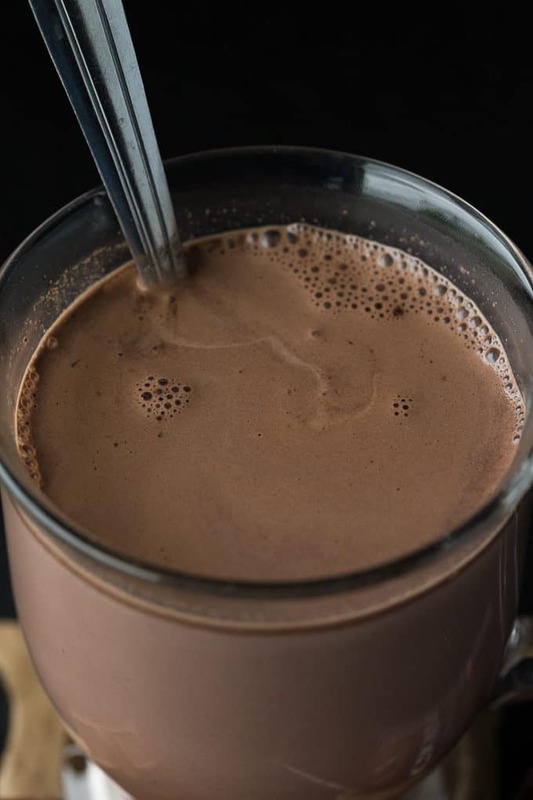 We mainly drink hot chocolate in the winter when the weather is cold and dreary. It’s a nice little pick me up to warm your bones. I heated milk up in the microwave and then stirred in a package of Caotina. I think I may have sighed a little when I took my first sip. I can picture myself now curling up with a good book and a mug of Caotina while the wind roars outside my window. This is the drink you want to enjoy to take away some of the dreariness of winter. Look for it at grocery stores across Canada including Sobeys, Foodland, Longo’s, Highland Farms and Coppa’s. Whichever format you try, I know you are going to love the high quality and decadent flavour. I believe in treating myself to a little indulgence every once in a while. My sweet tooth demands to be satisfied and I can’t think of a better or easier way to do that than Caotina. 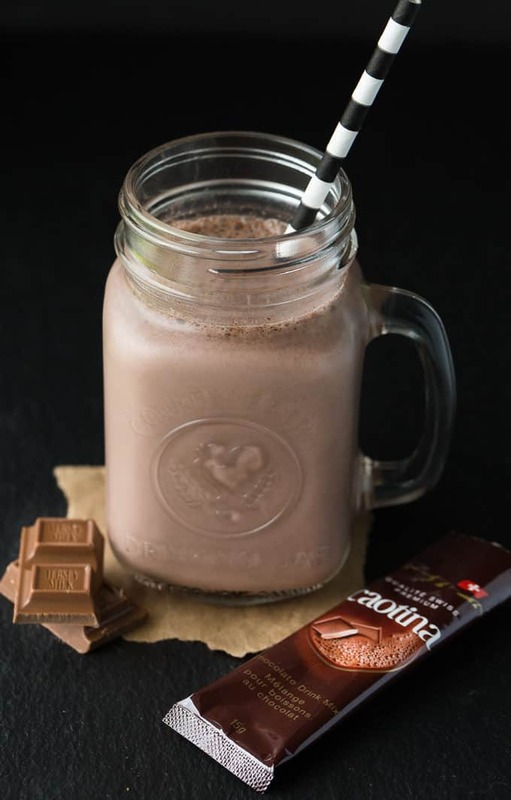 Once you try it, I think you’ll agree with me that it’s one of the best chocolate drinks ever! Are you looking forward to trying Caotina? I learned that they’re only in Canada in the Americas! We’re lucky! All Caotina products (Caotina original, noir, blanc) are gluten-free! I learned that Caotina’s beverages can be enjoyed hot or cold. I’ve never heard of this chocolate drink before and look forward to trying it!! I learnt that it’s gluten free. It comes in dark, which is my favorite. I learned that UTZ certification exists. Catina chocolate is enriched with 7 vitamins and 2 minerals. I learned that Caotina has so many added vitamins, that its almost a vegetable. I learned that Caotina has so many added vitamins, that its almost a vegetable. That makes it the perfect chocolate. I love that Caotina is UTZ-certified, supporting sustainable cocoa farming. 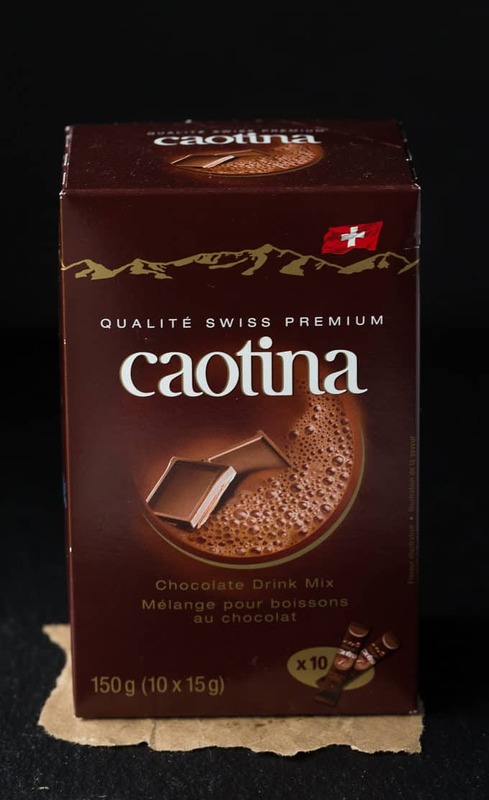 I used to spend most of my weekends in Switzerland and had no clue that Caotina was available in other countries!